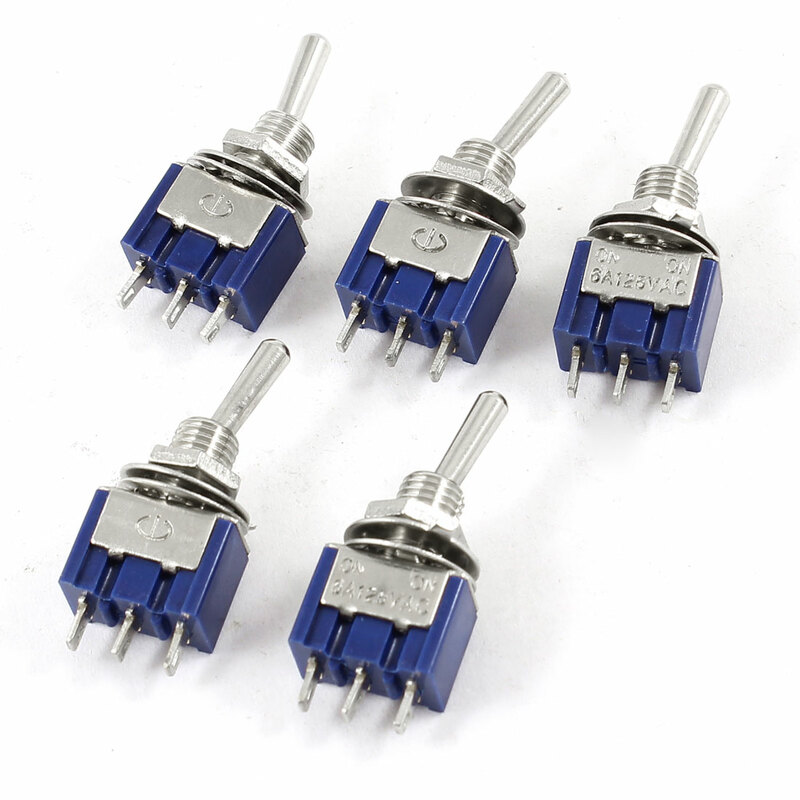 5 pcs toggle switches, features SPDT, 3 pin terminals, ON/OFF 2 positions, latching action type. Thread Diameter : 5.7mm / 0.22";Body Size (Approx.) : 13 x 8x 10mm / 0.51" x 0.31" x 0.4" (L*W*T);Total Height : 30mm / 1.2"